It’s been a while since I baked something, and it’s definitely been a long while since I made a sticky date pudding. Cold winter nights usually makes me crave for a hot dessert. That to me, would definitely end my night on a super sweet note! 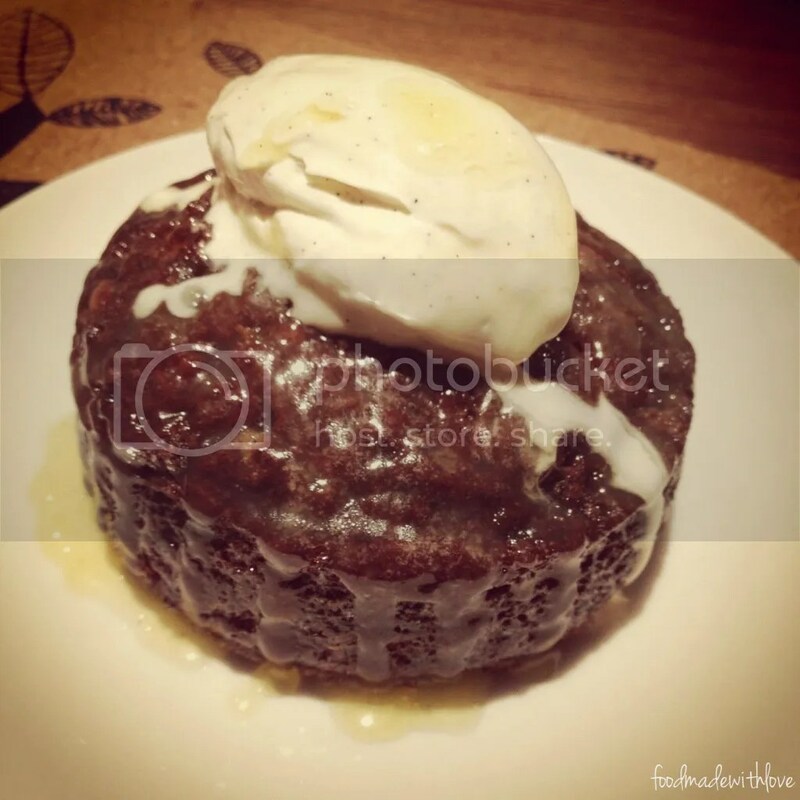 (: So what could be better than freshly baked sticky date pudding with a dollop of freshly whipped (and quenelle, might I add) vanilla bean cream? Absolutely, nothing! Nothing could be more comforting than a hot pudding with cream or ice cream! mmmm. My colleague has very kindly shared her recipe with me. I took one bite of the one she made, and immediately asked her if she minds sharing the recipe. She made it so often that she wrote out the recipe in less than 5 minutes! Including the steps! WOW! I was super impressed and couldn’t wait to try it! 1) Preheat the oven to 170 degrees celcius. Place the chopped dates in a bowl, and sprinkle the soda bicarbonate on it, and pour the boiling hot water over it. Leave it aside, to let it soften. 2) In a mixer, cream the butter and sugar till light and fluffy. Add the eggs, one at a time and mix well. Add the vanilla bean paste and mix till well combined. 3) Using a large wooden spoon, fold in the flour, a little at a time. Add the date and water mixture and mix till it becomes a wet mixture. Don’t worry, it does look very watery, so don’t panic! Pour into a well buttered baking tray and bake for 40 mins. 4) Meanwhile, make the butterscotch sauce by placing all the ingredients in a saucepan over a medium heat. Allow the butter and sugar to melt and thicken. 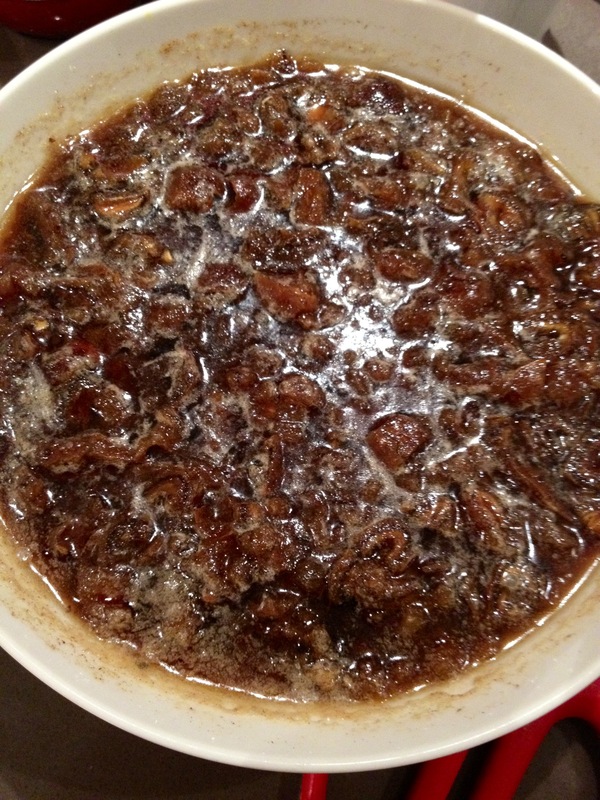 Pour 1/3 of the butterscotch sauce over the baked pudding and place it back into the warm oven for another 15-20 minutes. Ahhh, this looks sooo delicious! Bet this was a nice treat, hehe. 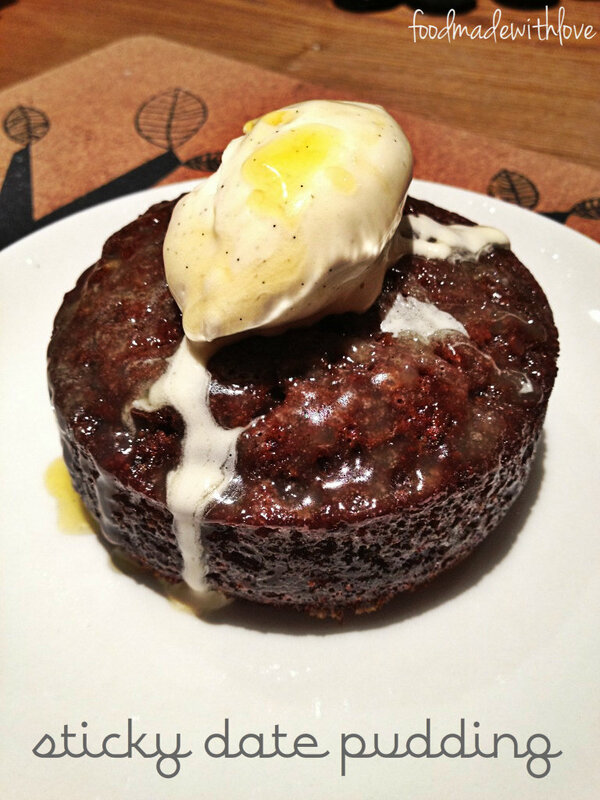 Over here we call it Sticky Toffee Pudding, but I think it’s pretty much the same! 🙂 YUM! Awesome job! Looks rich, sweet and decadent! 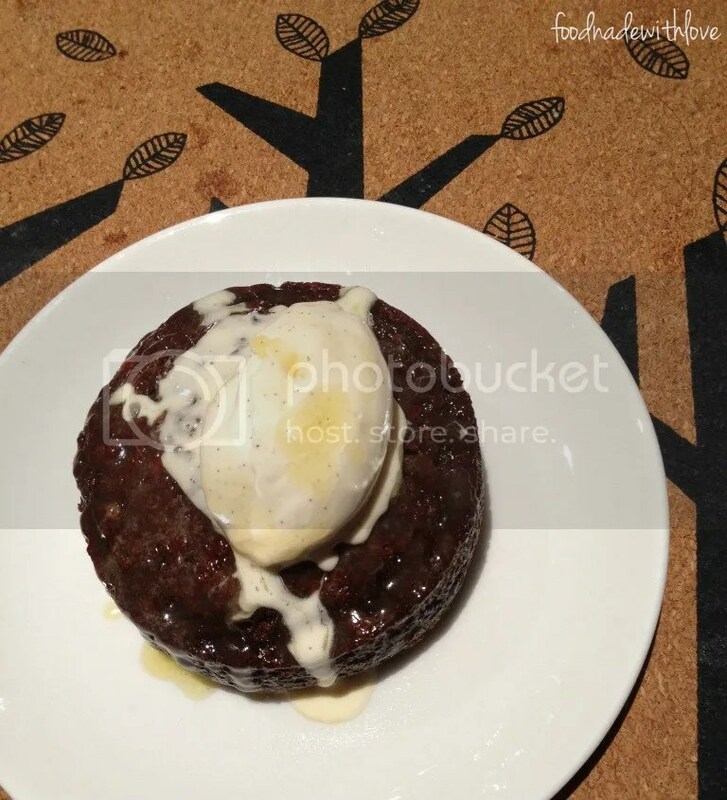 mmmm I love me a sticky date pudding! This one looks divine! Yum yum yum! I need to make it soon! I’ve never made sticky date pudding before but I do love to eat it 😀 perfect weather for it too! Hi! Do you add the 1/3 cup of butterscotch sauce AFTER the 40 minutes of baking are over and then return it for an additional 15 minutes? Or do you add it when the cake is 25 minutes into baking, and return it for an additional 15 minutes making it a total of 40 minutes? Thanks in advance!